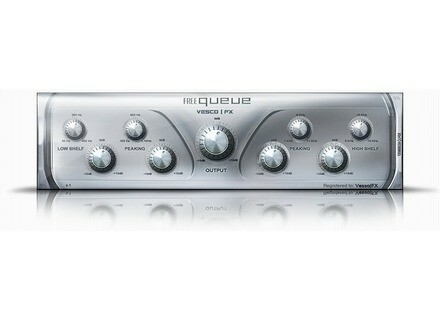 Free Queue, Software parametric EQ from VescoFx. vescoFx has released an updated version of the Free Queue equalizer plug-in, including Mac OS X compatibility. This is the first time this plug-in has been available for the Mac. Supported versions are 10.4, 10.5 and 10.6 VST hosts. The Windows version remains available as before. [NAMM] BSS Audio Acoustic Echo Cancellation BSS Audio introduced a new full-bandwidth Acoustic Echo Cancellation (AEC) algorithm for its Soundweb London conferencing processors.